IBM® TS4500 Tape Library is a next-generation storage solution designed to help midsized and large enterprises respond to cloud storage challenges. These challenges include high data volume growth in cloud and hybrid cloud infrastructures, increasing cost of storage footprints, the difficulty of migrating data across vendor platforms, and the increased complexity of IT training and management as staff resources shrink. Leverage flexibility that enables the library to grow from both the right and the left side of the first L frame since models can be placed in any active position. Utilize support for entry-level, intermediate and base-capacity configurations. Use the Advanced Library Management System to support dynamic storage management, enabling users to create and change logical libraries and configure any drive into any logical library. Help increase mount performance and overall system availability with dual robotic accessors. Access data at the file-level without the need for proprietary applications. 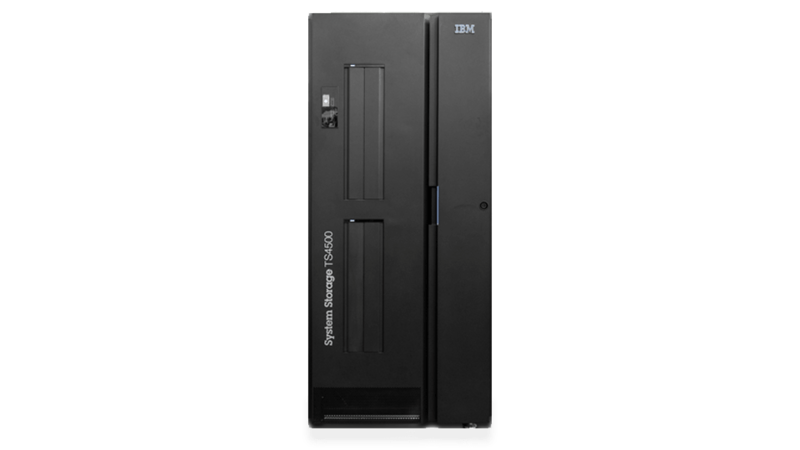 IBM TS4500 supports IBM Spectrum Archive with IBM Linear Tape File System (LTFS) technology. Provide a flexible upgrade path for users who want to expand their tape storage as their needs grow.